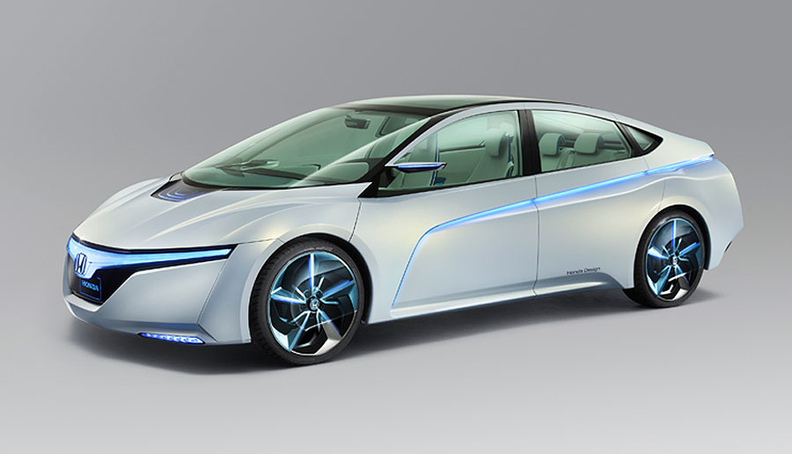 The Honda AC-X concept gets its name from Advanced Cruiser Experience. TOKYO -- Honda Motor Co. will debut three concept cars at the upcoming Tokyo Motor Show that foreshadow the Japanese automaker's vision for a battery-powered future: a plug-in hybrid touring sedan, an electric small city car and a sporty, open-cockpit electric vehicle. The concepts presage cars that could come to market about two generations from now -- say, in 2020. A key feature of the cars is a pair of steering handles that are pulled backward and forward to direct the car instead of a wheel. Honda says that the technology is intuitive and much like steering a bicycle. When you want to turn left, you move the right handle forward. When you want to move right, you do the opposite. The first concept, the AC-X, gets its name from Advanced Cruiser Experience. It is a wedge-shaped plug-in hybrid sedan that takes heavy styling cues from the Honda FCX Clarity fuel cell vehicle. To improve aerodynamics, it has an adjustable rear diffuser and body undercover that extend during highway driving to improve mileage. Formula One-inspired wheel covers also help. The Honda Micro Commuter Concept is a three-seat city runabout that follows in the tradition of the Nissan Pivo concept series and the Toyota iQ minicar. 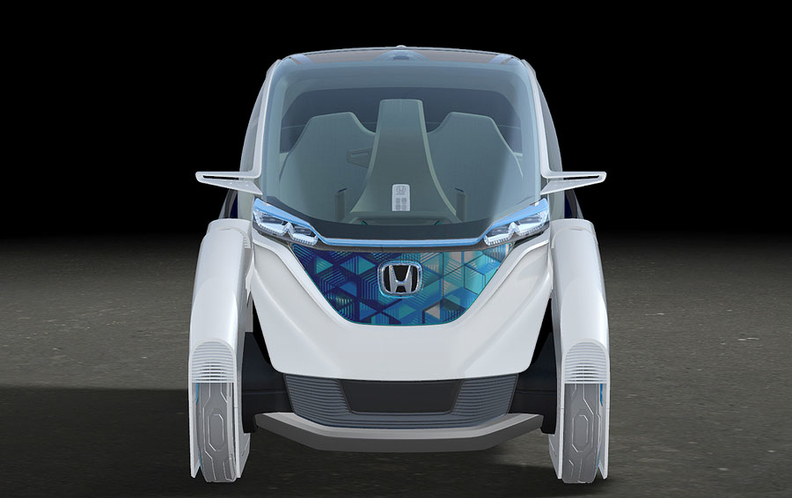 The AC-X, with a drag coefficient of 0.21, targets fuel efficiency of 110 km per liter, or 258 mpg, with its 120-kilowatt electric motor and 1.6-liter engine, Honda says. The AC-X is envisioned as running 50km (31 miles) in electric-only mode. Also on display will be the Honda Micro Commuter Concept. The three-seat city runabout follows in the tradition of the Nissan Pivo concept series and the Toyota iQ minicar. Its lithium ion battery gives it a range of 60km (37 miles). But the so-called Loop Batter battery pack also can be taken out and plugged into other vehicles, including an electric minimotorbike. That two-wheeler, dubbed the Motor Compo, can be loaded aboard the Micro Commuter Concept. Sketches of the Honda Small Sports EV Concept depict a stubby, low-slung car reminiscent of the CR-Z sporty hybrid. Another feature of the angular micro vehicle: colorful body panels that can be swapped in and out like the exchangeable skins of a smartphone to customize your ride. The third car of tomorrow is the Small Sports EV Concept, a compact convertible electric vehicle. Honda is waiting until the show to give detailed specifications. But sketches released in advance depict a stubby, low-slung car reminiscent of the CR-Z sporty hybrid. 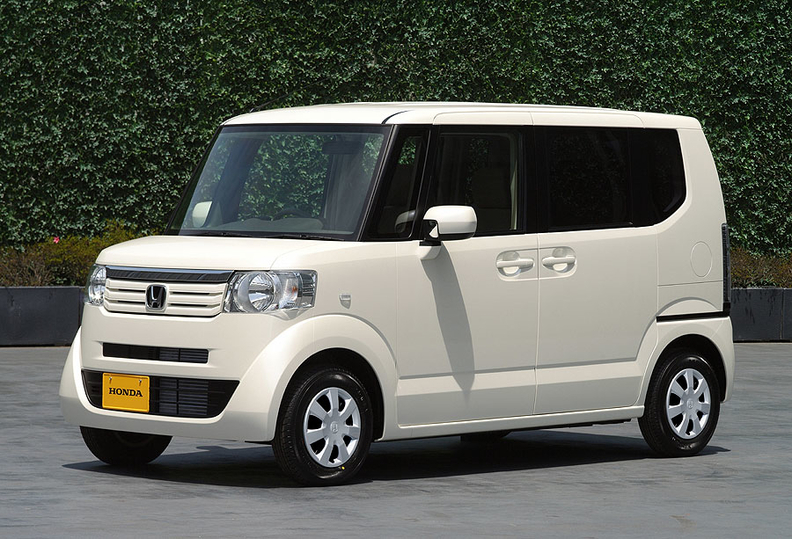 The Honda N Box is a new 660cc minicar for sale in Japan. On the production car front, Honda will present the N Box, a new 660cc minicar for sale in Japan. It also will show a so-called N Concept hinting at a possible direction for next-generation minicars.